Everyone Has a Dominant Story and every person you encounter, every community you enter into and every culture you engage has a dominant Story with many substories. The Dominant Story is the most prominent, compelling and controlling informant for how people perceive God, others and the world. Some call this a worldview because it is the lens through which they view the world. One’s worldview shapes how they receive and process information, engage in relationships, make decisions and shape their philosophy and beliefs. You can discover a person’s dominant story by asking questions. There is ONE dominant Story that all stories will ultimately find their place in and finally be complete because of…God’s Story – The Gospel. 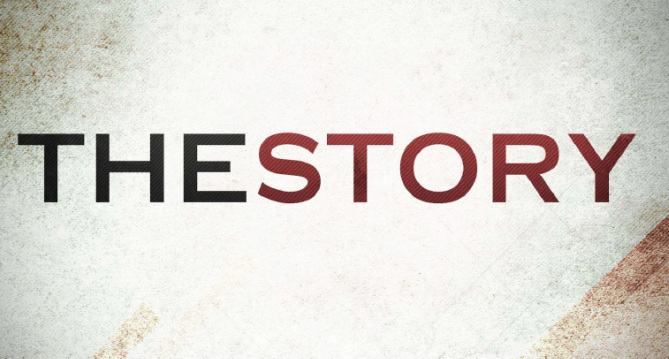 His Story precedes, finishes, corrects and ultimately makes sense of all other stories. In order to effectively administer the Gospel to people we must listen with “Gospel Ears” for where any part of someone’s story is not in line with or influence by The Gospel. In Chi Alpha, we expect that every person become familiar with The Story of God so that eventually our world-views become realigned with God’s intent for the world, our lives, and our place within His eternal plan. AND we might also become more effective Gospel Listeners who can bring the Gospel to bear on the lives of believers and unbelievers around us. Here we come to understand that God is eternal and is the Creator of all things. Since God is the Creator, He is the one who gives meaning and purpose to all that exists and is the one for whom all exists. We aren’t self-made men or women AND we don’t determine our own meaning or purpose, God made us and determines the purpose for our lives. And, He has the authority to hold us accountable to the purposes for which He created us. In this part of THE STORY we come to understand why all that has been made is no longer in the state that God created it to be. Humanity and all of creation is broken and in need of restoration because of humanity’s rebellion against God, which started with Adam and Eve in the Garden but has continued on to the present. We all deserve judgment and death because of our sinful rebellion. We are presently experiencing the consequences of our rebellion all around us in the world and in our lives. Ultimately, we will all stand before God as Judge for our rebellion. Since humanity rebelled and was turned over to their rebellion by God, God is the only one who can rescue us from our rebellious state and the punishment we justly deserve. God spoke words of hope to Adam and Eve and to generations that followed by foretelling of His rescue and redemption plan. God spoke through the prophets of a rescuer who was coming to live the perfect life we don’t live, die the death we deserve, rise from the dead overcoming sin and sin’s penalty, which is death, ultimately satisfying the righteous requirement of God for us and purchasing for God a people set apart for His work and worship. This rescuer and redeemer is Jesus Christ. There is no other hope for being rescued and redeemed for God and from God’s righteous judgment outside of Jesus and His work. The plan of God doesn’t end with only a people redeemed for God and forgiven by God, but with a New Heaven and New Earth where sin, death and destruction is all removed and peace and love defines how we relate to each other and God. Jesus will return to bring about this full restoration and will ultimately be at the center of it all - all honor and praise and glory will belong to Him. While we wait with hopeful anticipation for him to return to complete this final work, he calls us to participate with him in bringing about healing and restoration as a foretaste of this future reality. Wherever people are living in submission to Jesus and His ways, serving and sharing the Gospel with others while empowered by His Spirit, Restoration is being experienced. Our lives of Gospel Service are like a Movie Trailer of what is to come when The Kingdom is fuller consummated. 3. The people God is sending us on mission to save would come to find their stories redeemed in and lined up with the truth of the Gospel. STORY and grow in “Gospel Listening”: listening closely to the stories of others in light of THE STORY – The Gospel. Everyone has a fundamental belief about their Origin – who or what gave them their existence, made them who they are, shaped them into the person they are today. The Key Question here is: Who or What do you credit for who you are? There is a reason for why people, community and the world is broken. Each person has a fundamental belief about the cause of brokenness and has a deep desire for Justice in the form of Righteous Judgment. People blame their parents, family, friends, boss, government etc…for what they’ve become AND want justice by putting the blame on someone else for the pain and brokenness in the world. Everyone has a “Fall Guy” mentality – Someone is to blame and someone deserves punishment. The Key Question here is: Why are things and people not the way they are supposed to be and who is to blame for it? Everyone has a solution they believe in, a remedy they look to or savior they believe in to redeem the brokenness in their life and world. Many are looking to a philosophy. Others look to a plan for self-improvement or personal growth. Many believe some kind of reform in education or politics will change things. Everyone believes in a Redeemer or in a Self-Improvement plan of sorts. The Key Question is: Who or what will rescue me and redeem what is broken? Every person has a picture of the future when everything is as it should be. Some see a utopia with humans all living at peace with one another. Others believe Mother Earth and humanity will be one. Still others see another world they will go to where they will be at the center. Some people’s future hope is to be married…have children…get a job…be rich…etc…Everyone wants something better…restoration of what they believe their world should be like. The Key Question here is: What will the world or your world look like when all is as it should be AND Who or what will be the focus of this world? As you listen carefully, pay close attention to where the story your hearing lines up with some or part of The Gospel Story. They could have a whole section of The Story that they agree with (i.e. Environmentalism agrees with The Fall – It’s Humanity’s fault…but the rebellion is against Mother Earth, not God); or there may be parts of a section that agree, but still miss the Gospel (i.e. Jesus did come to redeem us, but it all depends on how well we behave or perform for him). Finding the common ground creates a point of agreement and potential Gospel Foundation from which you can work outward to both lay more foundation and/or show the weakness of their prior foundational storyline. Consider how Paul did this in Acts 14:8-18 and Acts 17:22-34...What common ground did Paul start with?How did he move from the common ground to what they didn’t yet know or believe? At some point through dialog it is imperative to identify where the story they believe in does not hold up under close scrutiny. Generally, one or more fundamental parts of their story do not line up with the rest of their story OR the life they’re living does not line up with the story they hold to. If you are listening closely to a Christian’s story, your goal is to help them see where their life or doctrine does not line up with the truth of the Gospel. If the person is an unbeliever, your desire is to encourage them to work out the fullness of their story’s implications to see where they do not or will not live fully in line with their story OR that their story will not accomplish what they hope it will. The best way to work toward this is through ongoing series of questions…What might some of those questions be? Finally, once we become clear on where their story is incomplete, broken or based not on the truth, we look for opportunities to show how only The Gospel Story corrects and completes their story. If we listen closely, we should be able to share with them The Story so that it speaks Good News to their story. We should tell The Story in such a way that they want it to be true since it answers the deep questions and longings they are looking to another story to fulfill. What key events or experiences have most significantly shaped your life? In what ways has the Gospel Story better interpreted or completed those events or experiences? How does the Gospel speak to that? What key hopes, dreams or life changes are you looking forward to? How are they grounded in the Story of the Gospel? Where do they need to be corrected or completed by the Gospel Storyline? know their story well enough so you can do this).